(Bloomberg) -- Moonfare GmbH, the Berlin-based startup that allows wealthy clients to invest in private equity funds, has raised 25 million euros ($28 million) to fuel growth in Europe and Asia. The two-year-old company -- whose investors include ProSiebenSat.1 Media SE’s former Chief Executive Officer Thomas Ebeling, former KKR & Co. partner Henrik Kraft and ex-BC Partners Chairman Jens Reidel -- raised the funds in three weeks, it said in a statement on Thursday. The biggest commitment to the financing round, in which investors were asked to pledge a minimum of 200,000 euros, is 1.2 million euros, a person familiar with the funding said. The idea behind Moonfare is to give rich clients access to the same double-digit returns that police officers’ and teachers’ pension funds have enjoyed for decades. 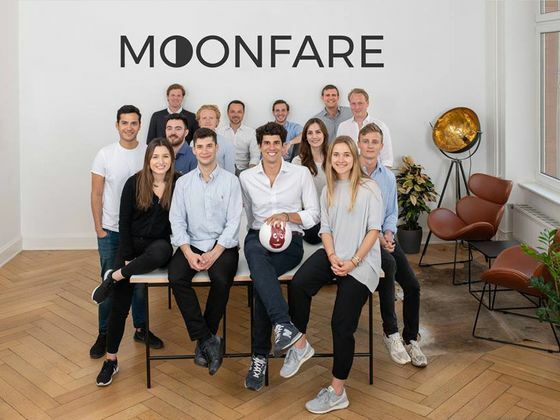 The brainchild of KKR alums Steffen Pauls and Alexander Argyros, Moonfare enables individuals to register and invest through its platform in as few as 15 minutes, according to its website. Clients need a minimum of 100,000 euros to invest and must complete a questionnaire on Moonfare’s platform and a background check. They also have to pass minimum net worth requirements and show that they have “sufficient prior investment experience,” according to the website. Clients have used the platform to invest in funds including EQT Partners AB’s eighth fund and Cinven’s seventh fund, people familiar with the company said. The funds that Moonfare invests in must have a rate of return of at least 18 percent, they said.